Survey questions or “items” (e.g., on a scale from 1 to 5, how strongly do you agree with the following statement…) may be repeated measures of certain underlying “factors”. Where factors are a true underlying construct that a survey attempts to measure. 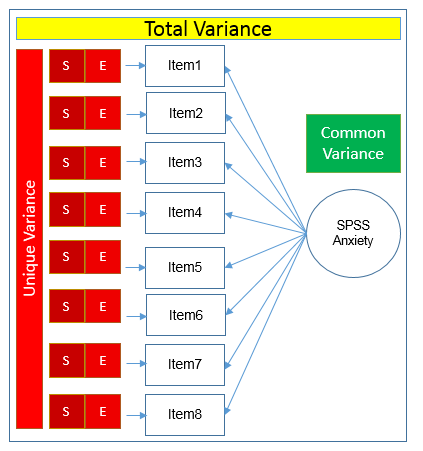 For example, a factor a survey may attempt to measure might be the anxiety caused by learning statistical analysis (using SPSS software). Factor analysis looks at understanding what is really being measured by multiple questions in a survey. There are a ton of new concepts in this class, but online resources are often a more simple and clear way to learn.